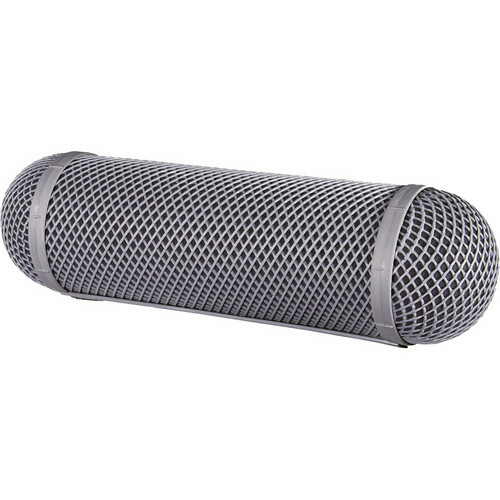 The Rycote Modular Windshield is a professional windscreen intended for use with microphones used in field audio applications such as film, ENG/EFP and professional video. The Windshield is the core (body) of Rycote's Mono Modular Windshield series and an array of interchangeable parts and accessories are available. Optional end-caps and extensions provide added length for accommodating larger microphones and mounts. Every windshield and part model is specified with a numerical designation, signifying different lengths and sizes. All windshield models include the necessary body and extension parts to accommodate the desired length. Box Dimensions (LxWxH) 15.8 x 4.9 x 4.8"
Windshield #3 is rated 1.0 out of 5 by 1. Rated 1 out of 5 by Brett from Flimsy plastic I'd skip on this one. Mine has cracked in at least seven places on the plastic rim. I just keep glueing and taping it until the next crack appears. It is very flimsy and delicate. For this much money it should be bulletproof.